54 physical comments books have been completed at the current 185 Empty Chairs site. Feel free to add your comments here online. We have some private funding and business support already. There will be opportunities to contribute in the future. Location is the final hurdle. There are a number of options. 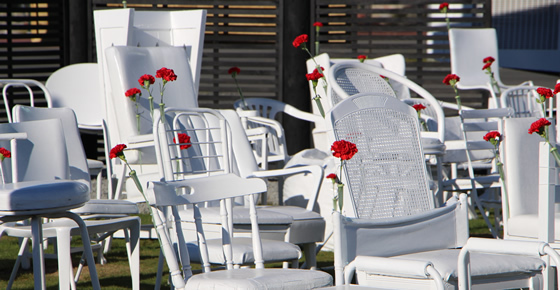 With your help we can make 185 Empty Chairs permanent.